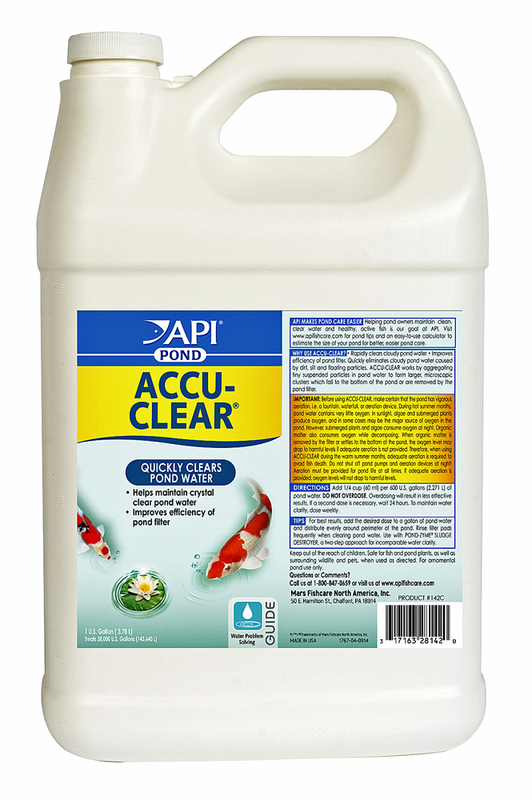 PondCare Accu-Clear is used to rapidly eliminate cloudy water after new pond setup, filter changes, pond cleaning and plant maintenance. All of these services will stir up small particles of dirt and organic waste that are so light they remain suspended in the pond causing cloudy water that mars the beauty of your pond and makes viewing your plants and fish difficult. Accu-Clear is technically known as a flocculate and works by causing the small floating particles to cling together into heavier particles known as "flocs". 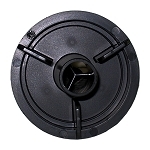 These larger particles often fall to the bottom of the pond or are removed by the mechanical portion of the pond filter or water pump pre-filter. During this process it will be necessary to clean your filters as they become clogged. This is very important especially in warmer weather where lack of circulation caused by clogged filters can reduce aeration and the amount of oxygen needed for the fish health and proper eco-balance of the pond.